No credit checks, drug testing, some states require background checks for MCA licensing. (TN, AR, VA, etc..) Click here to review state licensing. When qualified, the sale of an MCA Total Security membership will pay a maximum advance commission of $35. When qualified, the sale of an MCA Security Plus membership will pay a maximum advance commission of $25. When qualified, the sale of an MCA Security membership will pay a maximum advance commission of $15. When qualified, all levels of override will be paid “as-earned”. prepaid credit cards, gift cards, one-time pay cards, online banking accounts, offshore accounts, etc. Any individual who gives away memberships or charges multiple memberships to the same credit card or bank account will also be paid as-earned. Group sales are paid as earned. Marketing Plans, Bonuses, Incentives, Product Availability, Policies and Procedures and etc., may be amended by the Company from time to time without notice at its sole discretion and without the consent of Associates or any related party. 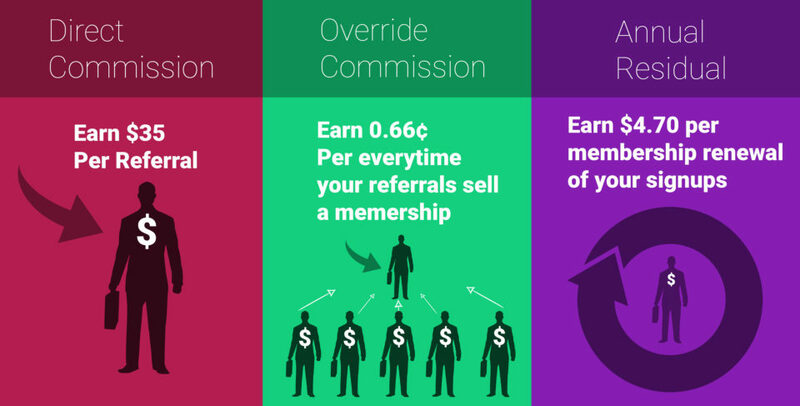 Motor Club of America's affiliate compensation plan is easy to understand and to explain to others. You'll enjoy the many ways we pay our associates for their hard work and dedication. For a detailed look at our compensation plan, please view our info-graphics. How do associates promote MCA offline? Once we have processed your membership, you will receive your very own MCA web site, an MCA email account, application forms, brochures, training, and a back office for absolutely free. You will receive your membership ID card through the U.S. Mail within 2 weeks, although you will receive your membership ID number immediately after your payment has been processed. Instructions: To become a motor club member, click on the button below and you will be transferred to the referral system, or give us a call with member ID number you signed up with. It can be found on teh back of your membership card. Agent’s are available 24 hours a day to get you started with your new Membership. This career opportunity for the following states: United States and Canada. You're registering with TVC Marketing as an Independent Associate. As an Associate, you sell memberships and recruit other Associates. You CAN sell without a personal membership, but you SHOULDN'T. Very few Associates succeed without one. Understanding the product is essential to becoming an effective marketer. 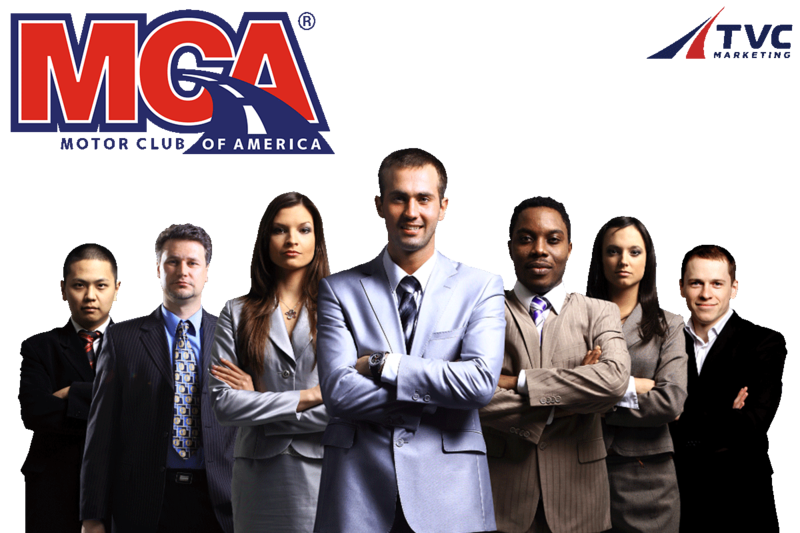 Click "Get MCA" at the end of this registration process to become a member. Instructions: To become a Sales Associate, click on the button below and you will be transferred to the referral system, or give us a call with this members ID number. Agent’s are available 24 hours a day to get you started with your new Career. Disclaimer: Motor Club of America Enterprises Inc. welcomes diversity with regards to ideas, backgrounds and experience.